Low temperature conditions are present in arctic or sub-arctic regions where temperatures frequently drop below -30°C. 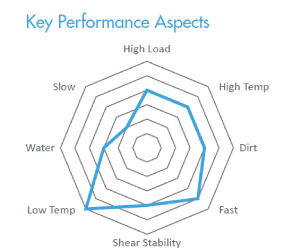 Under these conditions poor flow properties can result in reduced lubricant effectiveness or complete lubricant starvation resulting in the premature failure of components. An appropriate lubricant will combine those formulatory components necessary to ensure product mobility and effective lubrication are maintained down to the lowest temperature of operation, for any given situation. Ball bearings, mills, kilns, gears, roller bearings, winches, etc. Are Your Customers Dealing with Challenging Low Temperature Conditions? 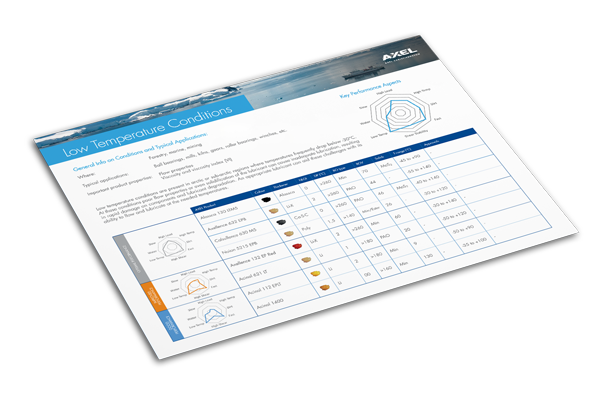 Download our Low Temperature Conditions Mat and learn more about a whole range of technologies and products (good, improved and optimal performance) you can start offering your customers today.